This novel looks like a reprint from the typeset seventeenth century with all the embellishments and period fonts adorning the inside pages. 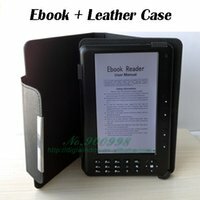 It certainly brings with it the right atmosphere, and all that’s missing is a stitched spine with a gold embellished leather bound cover. I took an immediate liking to Anna-Marie Crowhurst’s book and found enough ‘smells’ inside it to give Patrick Suskin’s Perfume a good run for the money. By the first two pages I was hooked and found myself transported back to 354 years ago into the countryside of Berkshire. Oliver Cromwell with his experimental republic has finally gone and now Charles II makes himself merry with whatever willing wench who catches his eye. Did I have hold of another Fanny Hill by John Cleland or Henry Fielding’s Tom Jones? Not exactly. This story was a coming-of-age of an innocent and creative soul who soon found herself incarcerated within the claustrophobic confinement of a post Puritanical period that would linger for centuries to come. I could see that here was a tale that would tickle my ribs and from that moment on a happy smile stuck to my face. Crowhurst did extensive research of this period and I can guarantee for every reader, that the closest thing to plastic within these pages would be a stray piece of Baltic amber. The Illumination of Ursula Flight takes the reader right back into the days of an occasional bath, (six month intervals was considered excessive and personal hygiene is not existent) along with living amongst nits, fleas, bugs, rats, rotten teeth, various parasites that made life uncomfortable, matriarchal dowagers, misogynistic males, whipping posts for the little ones, a new babbie every twelve months (alive or dead), copious quantities of fresh animal dung. Uninformed child marriages were considered common practice and part of the cultural behaviour of the times. Because of the historical perspective, I expected a bawdy theme to make a regular presence, however this activity ultimately arrives after Chapter XIX. 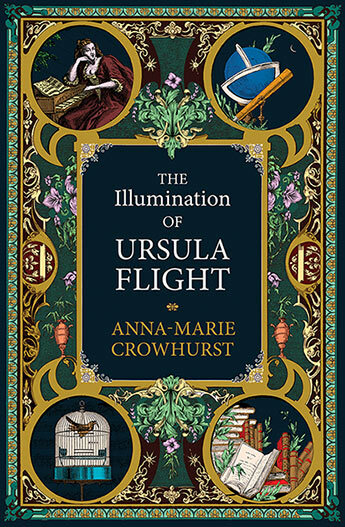 Crowhurst’s writing style is always pleasant and is punctuated with additions to Ursula’s almanac, where her personal reflections are recorded on manuscript. As an additional and unique treat, certain occasions are dramatically illustrated in playwright form. Sometimes Crowhurst emphasises words by enlarging the font sizes to great affect. I myself often do much of the same thing within my novels and find enjoyment in seeing such artistic imagination in process. This novel is more than just another a period piece of fiction. Crowhurst has written an evocative experience: a time-machine back to three and a half centuries ago into a world so unlike the present day that it actually become entangled and is essentially involved in generating our present heritage. This is set in a time before those childhood nursery rhymes were yet to be constructed as political satire and when the Dutch were the current adversary. Mix up the wrong potion and you could be accused of witchcraft. An entrenched caste system that could easily rival India’s’. I thoroughly enjoyed this book and praise Crowhurst for all her efforts, especially her attention to detail. I now hope that there may be a sequel to continue these adventures. I want to know what goes on when Ursula Flight’s playwriting reputation ultimately gets her invited to attend court. Another charming loose end is that of her daughter Cassiopeia and younger sister Catherine. There is plenty of material to spark a sequel, and I’ll be waiting for it.